Previously polystyrene was considered to be the largest single molecule that was synthesized artificially. A single molecule of it could weigh as much as 40 million hydrogen masses. It was hard to make bigger molecules in the lab because they tend to break as you reach a certain limit. However, in 2011, Dieter Schlüter and his collegues at the Swiss Federal Institute of Technology in Zürich synthesized an artificial molecule that weighed as much as 200 million hydrogen atoms. It’s called the PG5. The molecule was so huge that it spanned 10 nanometres and had so many bonds that it could hide other substances (like drugs) inside of it. It had to be done by taking a carbon backbone and adding other molecules and atoms to it. 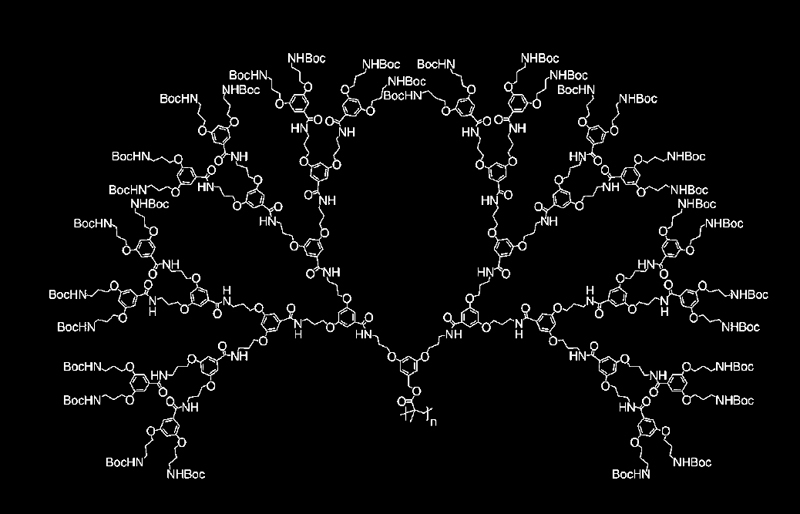 It took about 170,000 such new bonds to create this massive tree like molecule.